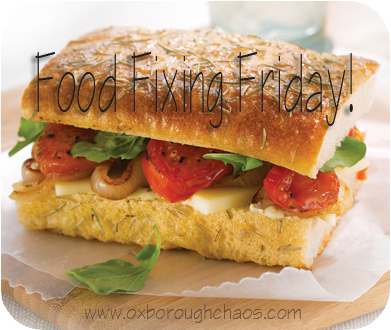 Welcome to the 1st weekly Food Fixing Friday! 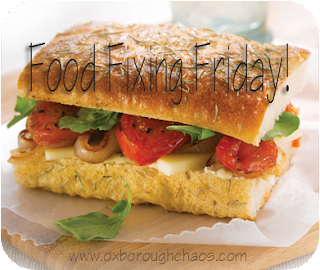 I will be doing Food Fixing Friday weekly, so please join is, I would love to have some new recipes to try out! Stir chicken, green pepper, 1/2 + cup of salsa and cream cheese together in a saucepan, over low hear until smooth. Spoon Mixture onto each tortilla, roll up and place seam side down in a lightly greased 13x9" pan. Bake at 250 degrees for 20 minutes or until thoroughly heated. This is my mom's famous recipe, that our whole family LOVES! I am not sure where she got it, but I have never been able to place any chicken enchilada recipe above it! Ok, now it's our turn, what is your favorite salad recipe?? Don't forget to link up, so we can copy down your recipe too! Love this idea and I just so happened to blog a recipe today so it was perfect! How funny, we are eating enchiladas tonight also! I linked up but, I linked up with a recipe for some healthy muffins that I made the other day with my two year old. Thanks for hosting this little "food party"! Sounds good! I'll have to try these!